SecureVPN.Pro Review 2018 – Is SecureVPN.Pro Really Secure? 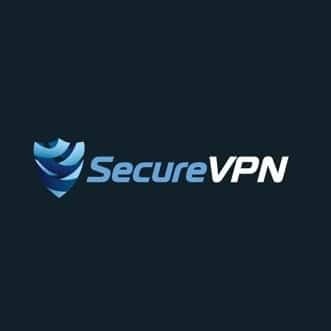 Mandee Rose | Posted on March 15, 2018 March 15, 2018 | Leave a comment on SecureVPN.Pro Review 2018 – Is SecureVPN.Pro Really Secure? The Virtual Private Network (VPN) market is becoming ever more crowded with providers, which is both a good thing and a bad thing. On one hand, more competition means that the market will drive the quality of service to increase. On the other hand, users can be inundated with too many choices, and left feeling confused. To help you avoid signing up to a sub-par service, I’ve tested various different providers. Today, we’re going to take a closer look at Russia-based SecureVPN.Pro to see if it’s worth your time, or if it’s yet another lemon. How Much Does SecureVPN Cost? SecureVPN.Pro has a rather complicated pricing system, which is determined by two factors: the package you want and the subscription length you want. There are four service levels, including Free, Basic, Advanced, and Pro. I was pretty surprised to see how granular its subscription periods are. For some reason, SecureVPN.Pro breaks down the daily cost of each of its subscriptions. I thought that was a little odd, since most other competitors only break down pricing models into monthly and annual costs. I’m not sure how I feel about all the different subscription options, though I suppose more granularity is usually a good thing. I’m always thrilled to see any VPN provider offer a free version of its service. I think that every VPN service should have a free plan, to allow prospective users to test things out a bit. However, free trials aren’t very common, and many providers offer other, risk averse options like money-back guarantees. Having said that, I was rather disappointed to find that the SecureVPN.Pro free trial only lasts for three hours. Of the other free VPN trials I’ve tested out, the shortest one lasted an entire 24 hours. In fact, some services like TunnelBear offer free versions that can be used indefinitely, though they are usually encumbered by bandwidth throttling, monthly data caps and other similar restrictions. Naturally, the free trial only allows one active connection at a time. Basically, SecureVPN.Pro doesn’t want to bog down its servers with a lot of concurrent free connections from non-paying customers. Otherwise, bandwidth for paying users might be negatively affected. Nevertheless, I was pleased to see that free users aren’t limited to a single connection protocol. Free users can connect via OpenVPN, Layer 2 Tunneling Protocol (L2TP) and Point-to-Point Tunneling Protocol (PPTP). The free plan only serves as a way to test the tunnel, but there aren’t bandwidth restrictions. So, overall, I think the free plan is a great, risk-free way to test out the VPN tunnel with some of your favorite websites and applications, before committing to a paid subscription. I have to say, I wasn’t very impressed with the basic plan, to put it mildly. In fact, I was a little irritated by its lack of features. Believe it or not, the free plan has more features than the basic plan. Currently, the basic plan only allows for one active VPN connection at a time. I felt there should have been a greater allowance for concurrent connections, but that’s not what really displeased me. For some reason, the basic plan doesn’t have access to OpenVPN connections. OpenVPN is my favorite connection protocol, because PPTP can be cracked and L2TP has a few security nuances. Even though L2TP will protect sensitive data, I prefer the OpenVPN protocol, since it offers stronger security. I found it a bit odd that the free plan allowed OpenVPN connections (albeit only for three hours), while the basic plan only supports PPTP and L2TP. In my opinion, the advanced plan is really the first subscription that’s viable for regular, long term use. The main improvements over the basic plan are twofold. First of all, advanced plan subscribers are permitted up to two simultaneous connections. Furthermore, advanced users get full protocol access using PPTP, L2TP and OpenVPN. However, given the advanced plan’s price, I would have expected more simultaneous connections. Similarly-priced services, like NordVPN, allow as many as five simultaneous connections. You can even find some cheaper providers, such as PIA VPN (which costs as little as $3.33 per month) that permit five simultaneous connections. Last but not least is the pro plan, which is the highest-tier package. To be brutally honest, I’m not sure I see a whole lot of value in this plan. First off, it’s rather expensive, especially for the features it offers. The lowest you can get the pro plan for per month is $9.99, and the monthly subscription option is a whopping $17.90 – ouch. That’s quite a bit more than most other competing services. For comparison, ExpressVPN, which is another moderately expensive provider, can be purchased for only $8.32 per month and permits three simultaneous connections. Alternatively, BufferedVPN can be purchased for $8.25 a month, and allows up to five simultaneous connections. The SecureVPN.Pro pro plan, on the other hand, still only allows two simultaneous connections. It does, however, add one unique feature that I don’t often see other providers include: a double VPN feature, which allows you to chain together two tunnels. For instance, you could create a tunnel from your PC to Germany, and then another tunnel from Germany to the UK. I think this is a rather interesting feature, and it essentially adds an extra layer of security and anonymity. But is that feature really worth the heftier price tag? Personally, I’m not so sure. Despite not falling in love with this VPN service’s other qualities, I was shocked to see the results of the speed test. In fact, I ran the same speed tests a couple times on different speed test servers to make sure there wasn’t a fluke, and everything seemed to be consistent. In particular, I’d like to draw your attention to the Hong Kong speed test. This is a great example of how a VPN tunnel can actually speed up your connection, in spite of protocol overhead. The fact that I gained almost 70 Mbps in download speed difference makes me think Hong Kong is performing some type of filtering, Quality of Service (QoS), or packet inspection that was slowing down my traffic. Once my data was hidden in the VPN tunnel, it looks like I was able to bypass any bandwidth throttling or irksome configurations. The same holds true for the Los Angeles test, though to a smaller degree. To sum up the speed test, I was astounded by how fast and reliable the connections were. In fact, after these tests, I think speed is the best quality of this service. However, I would like to test things out for more than three hours. First and foremost, I have to say that I was pleased to see that a live chat feature was provided in English. I think a live chat feature is the lifeblood of any support department, since it provides nearly instantaneous access to a techie. You can also initiate a ticket through a web form that sends an email to the ticketing system. There is no “support page” per se – the Support link simply opens up another web form, which generates an email. There was a weak attempt at a knowledgebase in the Questions and Answers section, but I wasn’t too impressed. There were four tabs, including Common Questions, Settings, Security, and Payments. Funnily enough, only the Common Questions section was fleshed out; the other three tabs were blank. To the support department’s credit, there was actually a pretty good “Setup” section of the website, which included in-depth guides detailing how to set up all three connection protocols on every operating system, including high quality pictures. Overall, I thought the customer support was rather poor. Although you can access the support department via live chat as well as email, the knowledgebase needs a lot of work. I think I’d give them two out of five stars in the support department. This service doesn’t log user activities (or so it claims). That’s pretty typical, but I’m really interested in finding out what ancillary data is logged. You see, it’s typical – even necessary – for VPN firms to log data like aggregate bandwidth statistics and connection timestamps. Some even log connected users’ IP addresses. Would I recommend this provider? Overall, the answer is no. However, let me start by saying that I think this is a competent VPN service with strong encryption (I loved the double VPN feature) and a decent free trial. Plus, the connection speeds blew me away! But personally, I just don’t see enough value in this service. I can buy additional features, more available server locations and extra simultaneous connections for a fraction of the cost by using most other providers. Some providers, like PIA VPN, cost about a third of the price of the pro plan. Furthermore, I thought the basic plan was terrible. It had hardly any features, and you can only use one active connection. Oh, and let’s not forget that the basic plan can’t even use OpenVPN. That leaves the advanced and pro plans as the only viable options, and they’re both rather expensive unless you select a six-month or annual subscription plan. Thus I’d recommend looking for another provider that will give you more bang for your buck. If you’re still unsure though, I highly encourage you to take advantage of the free trial.